Unclesand - Hysteria EP (Preview) [OUT on 26/04/19] by Taub Recordings. We welcome Unclesand to our Taub Recordings family. Unclesand is known for their melodic approach to techno which resulted in this 2 tracked EP. Outlets on labels like Say What? Records, Tabulat and upcoming releases on Phobiq and Riot Recordings have gained amazing support from established names in the contemporary scene. 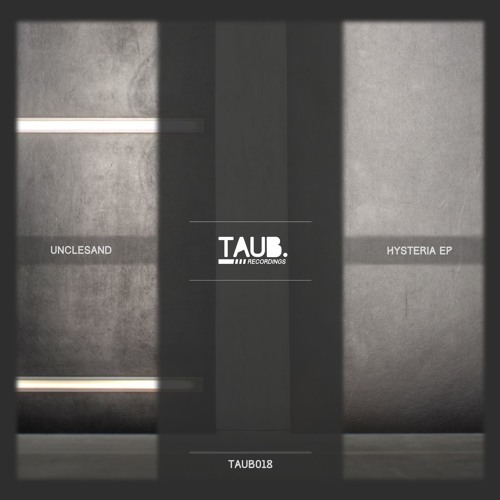 Unclesand - Hysteria (original mix) -Preview- [OUT on 26/04/19] by Taub Recordings. Unclesand - Schizofrenic (original mix) -Preview- [OUT on 26/04/19] by Taub Recordings.